With the exception of your footwear, no other item in the gentleman’s wardrobe is subjected to more of a pounding than your necktie. The brutal ritual of knotting and loosening can leave a necktie wrinkled and creased. Now, the last thing a gentleman wants to do is iron his necktie. Direct heat on the delicate silk is absolutely the kiss of death if you attempt ironing. Usually, I roll my neckties and hang them in the bathroom while I shower. The steam will smooth out any wrinkles that may exist. However, deep wrinkles may be present and this procedure may not sufficiently knock out all the wrinkles. The gentleman may decide to play roulette and send his necktie to the cleaners, but the silk may not stand up to the abrasive treatment. I once sent a necktie to the cleaners and although it was cleaned (I spilled gravy on it), it was never quite the same. 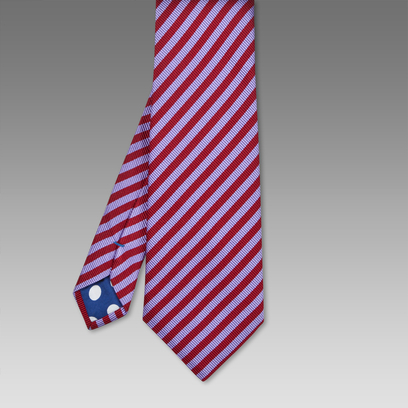 Somehow in the process, the necktie seemed to lose its luster and radiance. So, what is a man to do? Dry cleaning is a risky gamble and ironing may ruin your necktie permanently. Well, maybe not so. I was at the mall the other day and Jean Paul, the sales associate, was telling me he irons his ties. This I had to hear. After he finished explaining what he did, it all made sense. You only need two additional items to aid in your regular ironing. You will need a thick white towel and small spray bottle. The towel will protect the tie from being subjected to the direct heat. Fold the towel in a fashion that will safely provide a cushion between it and the necktie. Lightly mist the towel with your water-filled spray bottle. Now, there is not a need to press with all your might when ironing. Once the iron touches the moist towel, the resulting steam will hammer out those pesky wrinkles. A light, but firm hand is all that is needed. Be mindful of the tie loop on the underside of the necktie, you might want to avoid moving over that portion. I experimented on a couple of ties and they came out remarkably well. No more wrinkles. No more creases. Now, the gentleman’s necktie can be as sharp as the wearer. Navigating this fast-paced environment that the gentleman refers to as life, he has a tendency to approach familiar routines in a much hurried fashion. Seemingly pressed for sufficient time, he attacks his schedule in a rushed multitasking manner; with each task never receiving the full attention it rightly deserves. In the wake of the gentleman’s full-out sprint to the finish line, his path is littered with belts that miss trouser loops, razor nicks under his chin, and necktie knots haphazardly formed askew. Neckties hang far too low below the belt. Neckties are tied to short. Knots are nonexistent. And the cruel irony of it all is it does not have to exist this way. No, not at all. The gentleman will find that by slowing down and correctly executing each objective, he will not lose time and his presentation will be better for it. Let us take a quick view of the necktie knot. How many neckties have you observed where the finished product looks like a 6-year-old boy tied it? Slow down big guy, stop hitting the snooze button on the alarm clock and get up with enough time to properly knot your necktie. My key to a great knot: your knot should be formed BEFORE it is tightened around your neck. 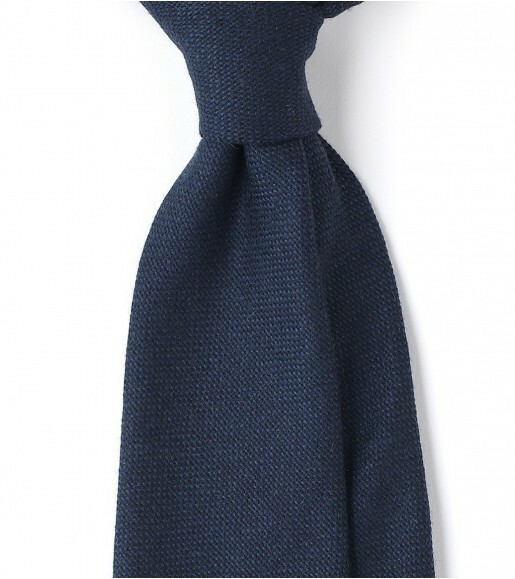 Whatever knot you select, Four-In-Hand or Half-Windsor, mold your knot while it is loosely draped around your throat. Take both thumbs & index fingers and form that indentation in the necktie’s fabric (as seen above) we call a dimple. Take the time to properly shape your knot to what you desire it to look like. Four-In-Hands should be symmetrically asymmetrical, while Half-Windsors should symmetrically triangular. Pinch the bottom of your knot so the body of the necktie flows elegantly from the upside down triangle (your knot). Now, draw up your tie and tighten. Now you are ready to start your day. And the gent certainly looks fantastic starting it. The bow tie. This small and unassuming piece of delicate fabric has elicited grave trepidation amongst many a gentleman through generation after generation. Maybe its visual simplicity arouses deep suspicion within the aspiring stylish gentleman. Surely its subtle nature masks a hidden complexity that requires the most dexterous fingertips to properly execute the bow tie knot. Right? Nothing could be further from the truth. It is my belief that since the bow tie is so underutilized in a gent’s wardrobe, there is an air of mystery that surrounds it. It is this mystery that causes the gentleman to believe that knotting a bow tie is more difficult than it really is. I understand that some men just may not like the stylish aesthetics a bow tie offers. Understandable. However, don’t talk yourself out of wearing one because it looks hard to knot. Ironically, you have been knotting bow ties all your life. Just take a quick glance at your leather oxfords. Exactly. The manner in which you lace your dress shoes is the same way you knot a bow tie. So instead of knotting a bow in your shoes laces, you are simply knotting a bow with a piece of silk. If the task still seems daunting, choose a portion of your leg that closely mimics the circumference of your neck. Now pretend that you are lacing your shoe. When you have overcome the mental block that it is a bow tie, you can steadily move on to your neck. Assisting with a great tutorial, I have posted a video from style extraordinaire Craig Stokes and his extremely informative Style Minute. Be sure to check out his website HERE and grab more stylish tips. Quick fascinating fashionable fact: there are approximately 85 different ways to knot a necktie. It’s true. It’s true. Authors Thomas Fink & Yong Mao have deduced that it is mathematically possible to knot a necktie 85 ways in their book, The 85 Ways to Tie a Tie. Now, I am a gentleman who loves to participate in all the small nuances that takes place when knotting a necktie. Ensuring that the dimple has sufficient depth. Making sure the length of the knotted tie just reaches the belt line. Sure, the art of knotting should be relatively serious; but not “85 ways to tie it” serious. Besides, I am not sure that many gentlemen possess the patience or dexterity to fool around with multiple knots while they are dressing. Relax. During a gent’s lifespan, he will encounter dress shirt collars where the points of his collars will be a regular or wide spread. There may be some slight fluctuation, but collars will inevitably boil down to a point collar, semi-spread collar, or spread collar. I am not including the button-down collar because I am not fond of wearing neckties with them anyway. For these three collars, the gentleman is only required to understand how to knot the Four-In-Hand & Half-Windsor. True, there is the Windsor & Pratt. However, one might run into a little redundancy when it concerns the finished overall look of a knot. Sure, you could knot a Windsor to complement your cutaway collar, but a Half-Windsor will do the trick too. There are slight differences in the visual symmetry, but not really that much. I have had people compliment my Windsor knot, but only I know it is really a Half-Windsor. No matter, it really is not that serious. Master the Four-In-Hand & Half-Windsor and you will look sharp in any dress shirt you select. 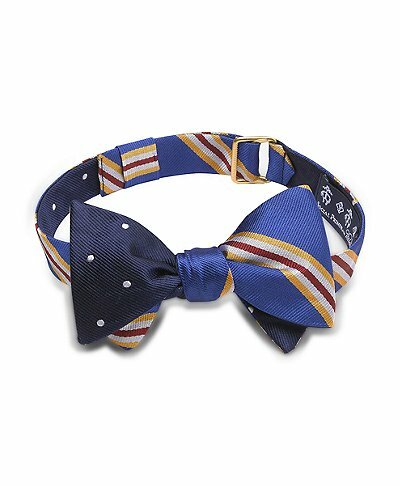 However, if the gentleman has a burning need to add some knots to his repertoire; Brooks Brothers offers a great tutorial that even includes how to knot a bow tie. Not sure how many ways you can tie a bow tie, but you can find the other handy tie instructions HERE. When navigating the work environment, the necktie that the gentleman chooses to select with his suit is crucial. Sometimes, the professional environment provides no wiggle room in terms of stretching the boundaries of what you believe is sartorial innovation. So, that means putting away your beloved Mickey Mouse necktie that you hold so dear to your heart. Serious business means a serious wardrobe, so it would be in your best interest to leave the Disney ties at home. So, you are at a loss and you don’t know where to begin. Your beloved Disney collection has been banished to parts unknown. No need for unnecessary panic, The Gentlemen’s Standard has got you fully covered. 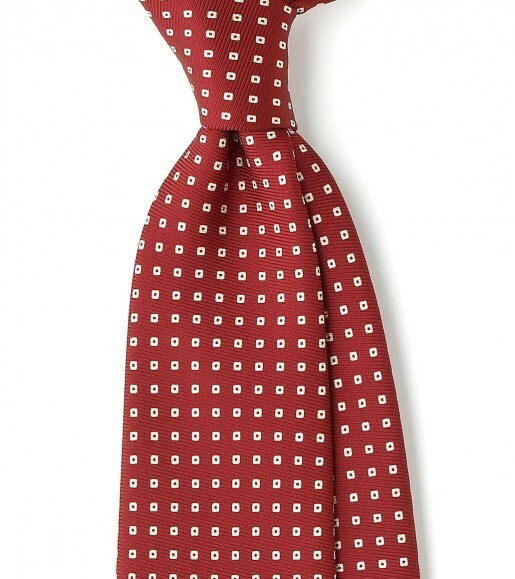 Every gentleman should have a solid rotation of…well…solid ties. Solid neckties take away the guesswork that has you stumped in the morning debating what matches what. The argument can be made that plain neckties are just plain boring. Don’t be fooled, solid neckties exemplify the sophisticated polish a man requires when preparing his dress. Put away those neckties that look cute when you are 5 years old; time to introduce a solid necktie in navy, burgundy, silver, or black. Finally, your style has just grown up. 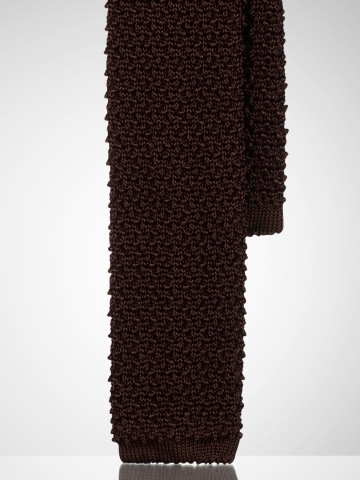 Dark colored neckties represent a seriousness that should be reflected in your suit. Stick with navy, charcoal, and black suits when paired with your tie. If you decide to go with lighter colors, make sure that the shade isn’t too muted. You don’t want your suit to overpower your neckwear. Keep a rotation of at least 5 neckties in your collection. Your neckties should be provided with sufficient rest in between wearings.